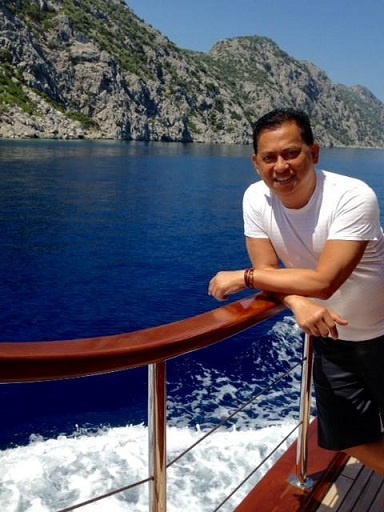 Travel agency executive Joebert Opulencia had just concluded a group tour of Turkey and on his way back to New York when three suicide bombers blew themselves up at Istanbul’s Ataturk Airport. News agencies are reporting at least 31 people dead and 60 wounded. “This is really sad,” Joebert, the president of Orientours Company Limited, said in an interview with The FilAm by email. “I am supposed to fly in seven hours back to New York and hope airport opens up.” Orientours specializes in inbound tours to Turkey. After receiving a stream of emails from concerned family and friends, Joebert marked himself ‘safe’ on Facebook. CNN is reporting that the three bombers were killed, six of the wounded are in critical condition and 49 ambulances were sent to the airport, one of the Europe’s busiest. “A Turkish official told CNN that police fired shots at suspects near the international terminal in an effort to neutralize them… The U.S. embassy in Ankara is sending consular officers to the airport to account for any potential U.S. victims. But there are no indications of any American casualties at this point, a senior State Department official told CNN’s Elise Labott,” according to CNN. Joebert said “this bombing” is likely to further discourage travel to this European country that is close to Greece and shares a border with rebel state Syria. Some European countries have advised against “all travel to within 10 kilometers of the border with Syria.” No one has claimed responsibility for the airport bombing, but some analysts are cautiously pointing to an USIS-instigated or -inspired attack. The ISIS has established a self-declared caliphate in Syria. Before this bombing, said Joebert, tourists have already avoided travelling to Turkey. “Lots of hotels are empty, several cruise lines have cancelled their sailing to Kusadasi and Istanbul,” he said. Kusadasi is a beach resort town and a favorite cruise destination. Istanbul is one of Europe’s oldest cities and very popular among foreign visitors. Joebert was home when the airport explosion happened. “I am watching the Turkish news,” he said. The U.S. has grounded all flights to and from Turkey, and that includes his flight back to NYC where he lives. In an advisory a day before, the U.S. Department of has warned U.S. citizens of “increased threats from terrorist groups throughout Turkey and to avoid travel to southeastern Turkey.” The U.S. government condemned the attack. © 2016 The FilAm. All images are copyrighted by their respective authors.